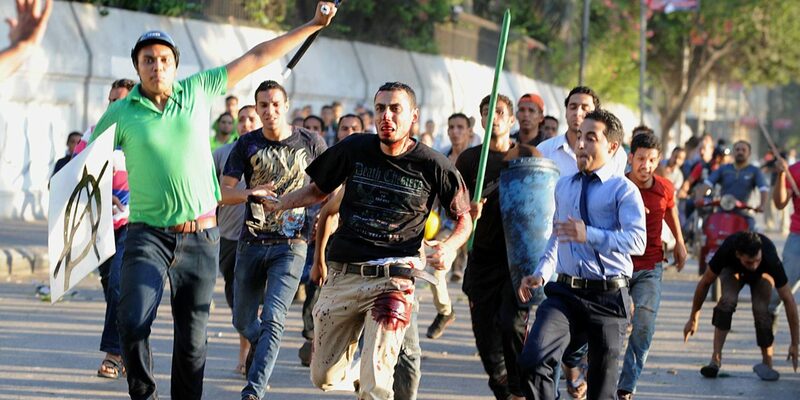 Another protester was killed this morning in Cairo during a march supporting deposed President Mohamed Morsi. The pro-Morsi Muslim Brotherhood claimed police in civilian clothes used live ammunition, killing two and injuring others. A security source confirmed one Mursi supporter was slain. North of Cairo, a bomb exploded at a police station early Wednesday, killing one person and wounding 28 others. Unknown assailants threw the bomb from a passing car in Mansoura, the capital of Dakhalia Province. On Tuesday, the Ministry of Health said at least nine people were killed and 86 wounded in clashes between supporters and opponents of Morsi, overthrown by the military on July 3. Hezbollah Secretary General Seyyed Hassan Nasrallah said Wednesday evening that the EU’s decision to blacklist the Lebanese organization as a terrorist group would not undermine its morale. Nasrallah added that blacklisting the party’s military wing was “an offense to the Lebanese government and people”. “Israel and the U.S. exerted pressure on the EU to adopt this decision,” Nasrallah said in a televised speech during an Iftar organized by the Women’s Committee of the Islamic Resistance Support Association. Israel’s Defense Minister, Moshe Ya’alon, said Tuesday that while Israel welcomed the EU’s decision to blacklist the military wing of Hezbollah, that group’s political and economic wing and its military wing. Ya’alon said the decision was “better late than never”. It has been clear to us for many years that Hezbollah is a terrorist organization. After the incident in Burgas [the 2012 bus bombing in Bulgaria in which five Israelis and the bus driver were killed], the issue was raised between us and the EU many times, and not for the first time. We saw their hesitancy, as they did not want to open up a front against that organization….Those who give orders to perpetrate terrorism are from the the political wing, so we cannot distinguish between the wings. I hope the Europeans will finally understand this and then all of Hezbollah will be classified as a terrorist organization. Ya’alon’s comments echoed those of Prime Minister, Binyamin Netanyahu, who said that Hezbollah was “a single organization” without separate wings. Unknown gunmen have killed two soldiers and injured others at two checkpoints in Al-Arish in North Sinai. In a separate incident on Wednesday, three militants were killed when a car bomb exploded near a police training centre in Sinai, near El-Arish, Egyptian state television reported. An Egyptian security source told State news agency MENA that the car might have exploded accidentally before reaching its target. I ask…that next Friday all honest and trustworthy Egyptians must come out. Why come out? They come out to give me the mandate and order that I confront violence and potential terrorism. The Tamarod movement, which organized mass protests last month calling for the overthrow of deposed President Mohamed Morsi, offered its support for the demonstrations for the military to play its role in confronting the violence and terrorism practiced by the Muslim Brotherhood”. Abdulelah Haider Shaye, imprisoned after he wrote about a US drone strike that killed more than 40 civilians, has been freed. The release reportedly came after a phone call from Washington to Yemen’s leadership. Shaye revealed that a US strike on the village of al-Majala in December 2009. Fourteen women and 21 children were among the dead. The attack had been described as a Yemeni airstrike on an Al Qaeda training camp. Shaye was sentenced to five years in prison in January 2011 for a claimed association with Al Qaeda in the Arabian Peninusla. Following protests by human rights activists, journalists, and tribal leaders, Yemeni President Ali Abdullah Saleh pardoned Saye after the sentencing, but allegedly revoked that pardon following a conversation with President Obama in February. Bombs targeting worshippers gathered for evening prayers at four Sunni mosques killed 12 people on Tuesday. One bomb was in Kirkuk, two in southern Baghdad, and one in Kut, southwest of the capital. Oman’s Sultan Qaboos has pardoned activists detained for taking part in anti-regime protests two years ago. The demonstrations in 2011 focused on unemployment and alleged corruption. Gulf News said the pardons covered 14 people serving prison sentences from 30 months to five years. Qaboos issued the order on the anniversary of his accession to power in 1970 after he overthrew his father. PreviousIran, July 24: Obsessed With Hezbollah?